Doctor Who Adventures is back. 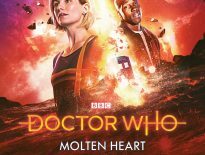 The children’s comic has spent a long time off our shelves, but with a new Doctor on our screens and no signs of another television spin-off, the BBC needed something to keep kids complacent in between episodes. Except this isn’t the case. 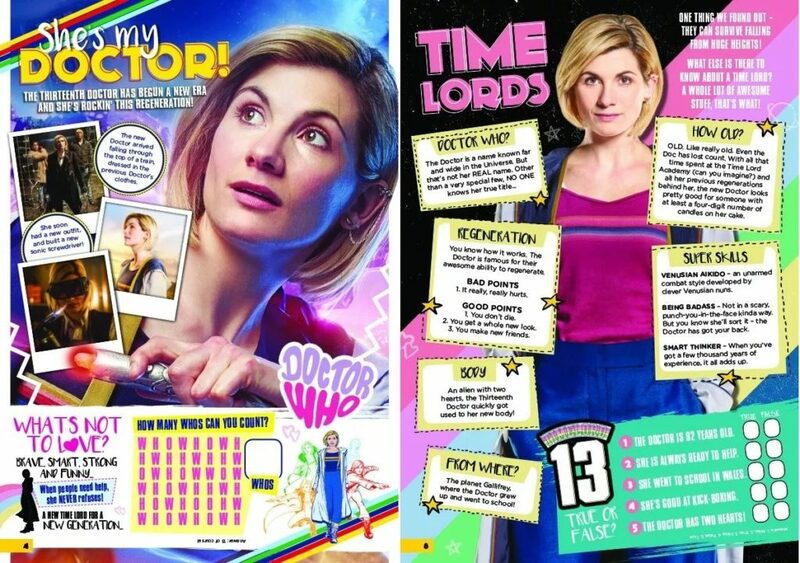 The magazine that spawned hundreds of adventures for the Tenth, Eleventh, and Twelfth Doctors and was filled to the brim with Doctor Who trivia returns with what appears to be a marketing exercise, published long after the Thirteenth Doctor’s first series. There’s solid reason for this. As a ‘brand new’ magazine, you have to keep the barriers to entry for new readers as low as possible. This means a very back-to-basics introduction to Doctor Who and a supposedly younger readership that would be more malleable to such simple detailing. As for anyone over the age of eight, especially if they’ve bought this magazine having already watched the latest series, their interest will quickly be lost as as their curious minds will want to know more. So let’s go page-by-page through DWA Volume 3 #1 and find out if this magazine is worth the purchase. THE COVER – It’s very childish (not a bad thing), but isn’t Doctor Who specific and isn’t inviting for an existing fan. It’s distanced itself from the previous era of the show and magazine (and arguably the latest TV series too), bringing the conclusion that this magazine is for a BRAND NEW AUDIENCE. 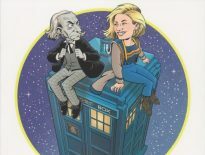 SHE’S MY DOCTOR – For what Target books were to the two generations before, the stills and images from the latest episodes in DWA’s pages were often how 2000s children relived episodes in between broadcasts. And even for a writer who is now an adult, there’s still that immediate ‘Christmas Day’ feel when you see a new press image or still that you haven’t spotted elsewhere. This magazine delivers just that, but sadly the visual references to the show wind down beyond this point. On the plus side, this page and many others are laced with some intriguing hand-drawn illustrations of the Thirteenth Doctor that look brilliant. COMPETITIONS – These are bog standard prizes that young children would want to win, but this page is most noteworthy for reverting back to calling TARDIS travellers “companions” rather than “friends” (or, indeed, “fam”). TEAM TARDIS – While previous editions of DWA stuck to brand fonts when possible, this magazine has gone in the opposite direction with its headlines, and unless you read the copy itself it’s honestly hard to tell what the subject matter of this magazine is. These pages are a simple introduction (a sentence each) to the TARDIS crew, with the complete lack of detail a further pointer that this isn’t aimed at existing fans of the show. Having said that, anything on Yaz Khan is character development. Character intros do seem dated when this is months after the series aired, especially for children wanting to find out more about their favourite characters. TIME LORDS – A rare appearance of the maroon shirt! This beginner’s guide to the Doctor is definitely aimed at people who haven’t watched the show because it’s all so… wrong. WORDSEARCH – Simple, but fun. The headline font actually fits the content here, and there’s another brilliant illustration of the Doctor. THE GREATEST MOVIE NEVER MADE (comic strip) – A brand-new Doctor Who adventure and it’s like we’ve just stepped into the pages of TV Action. The recurring motif of the Thirteenth Doctor and her companions watching grand cosmic events continues here, and we even get an immediate continuity reference, placing this story after Kerblam!. For readers who aren’t dedicated fans of the show, this strip is filled with enough rip-off cultural references that the story should still make sense, and it’s certainly engaging. For people who complained that the Thirteenth Doctor was not the lead in her own show, then your quabbles have been answered as she takes grip of the situation and executes a thorough and quite destructive plan. The dialogue and art is great in pushing the story along, and adds to the TV Action throwback feel. The final panel is visually a copy of one or two shots from Series 11, but it works great and immediately embeds the idea that we’re still in the TV show. BRILLIANT LOLS – This small selection of jokes is dated, but these are proper jokes and one actually made me groan laughing. DOORHANDLE – Being made of paper, it won’t be sturdy, but looks great on both sides. CALENDAR STICKERS & BIG POSTER – Huge thumbs up to the poster, which is printed on matte card rather than gloss (which Doctor Who Magazine printed), giving it a brilliant look. The sticker collection has a definite emphasis on girl power over anything Who-specific. My personal favourite is the ‘get a shift on’ sticker. FEEL THE FEAR – A TV tie-in at last! This takes theme of phobias to give us some interesting facts about fears. It’s definitely stuff you’d tell your school friends the next day, and there’s even an Arachnids in the UK image! I AM THE DOCTOR – It’s a colouring in page. As an excited Tenth Doctor would say: Oh yes. You can draw the Doctor an all-new gadget and fill in the print on a humorous but unlikely ‘I went to Gallifrey and all I got was this t-shirt’ t-shirt. Iconic. TIME TRAVELLER – With a frequent use of ‘like’, this is written more colloquially than any other piece of Doctor Who media in existence. It’s another super basic example of describing the show, but ticks the boxes for a young children’s magazine. There’s not enough to feed curious minds though. ROGUES’ GALLERY – The level of rogueness at the bottom of this villian identification spread is ‘life it hard’; at the top is ‘mega villian’. That made me laugh, then I remembered Series 11 was literally about humanity being the villian or the villians not even being particularly villiany. A second glance at the spread reflects that, and being nasty lies only level of rogueness above being a Pting. WHO’S YOUR PARTNER IN TIME – A Q&A that tests your Who knowledge and and is a fun riff on moments in the series, but arguably too late in the magazine for a young fan whose interests can lead them to better media than this. I NEED SOME SPACE/SOLAR POWER – Some more facts to show off to your friends about, and a ‘complete the name’ of the eight planets in our solar system. No Pluto, or Mondas. Boo. DEALING WITH CHANGE – When ‘agony aunt’ segments used to appear in DWA, it used to be funny or overly serious explanations of what to do if your school teacher was an alien or a Toclafane had appeared in your house. This time round, it’s the Thirteenth Doctor giving her expert opinion on ‘Moving On’, ‘Homework Hassles’, ‘Family Matters’, and ‘Buddy Blips’. Although I can’t conceive people buying DWA for life advice on these subjects. This segment also includes actual paragraphs of text, unseen throughout the rest of the magazine. Advice direct from the Doctor is the type of thing any young person would love to have, but two of these segments certainly seem aimed at teenage-specific issues rather than the early years school children the rest of the magazine appeals to. But hey, there’s some Thirteenth Doctor/Yaz shipping at the end of it (shipping, for the uninitiated, is when fans think characters should get together for… uh, reasons?) so this segment has something for everyone. SUPER SMARTS – Puzzles! Genuinely difficult ones! This three puzzle double-page spread will keep you occupied for at least several minutes, and there’s another great original illustration of the Doctor. ARE YOU DOCTOR MATERIAL? – These character quizzes bring the same level of disappointment to an adult as they do a young child when it tells you you’re nothing like the Doctor. This quiz also resonates with adult problems, including whether to leave a party where you don’t know anyone, if to be honest or save face when your colleague has tried out a new look and wants your opinion, and ‘worrying what your folks will say’ when your performance at work isn’t up to standard. DOC-STROLOGY – Doctor Who does astrology, and not a even a glimmer of the Mandragora Helix. 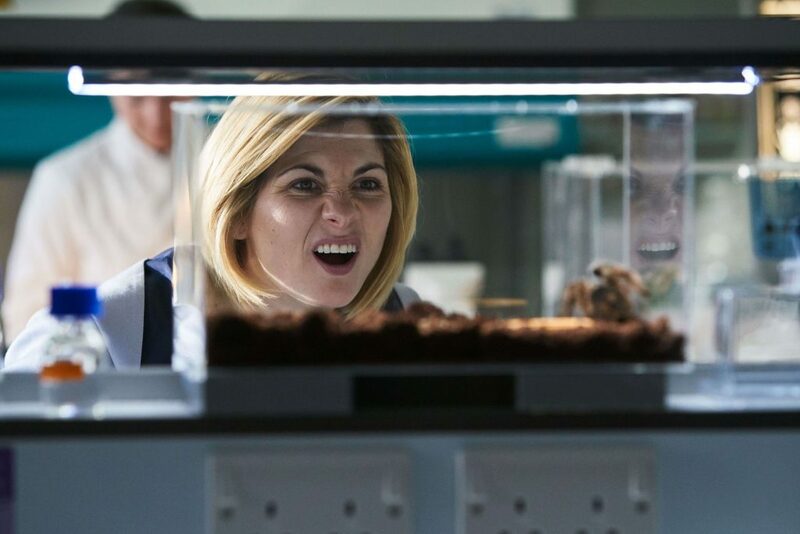 It does seem odd for a show based on science to be giving life advice based on astrological beliefs, but at least we get new Thirteenth Doctor quips such as ‘I love goats’, ‘carrying water is great’, and ‘you are so intense, you remind me of myself back when I was Scottish’. BACK PAGE – Another Thirteenth Doctor illustration with… the scripture of The Silents. Engaging, but odd (a recurring theme). 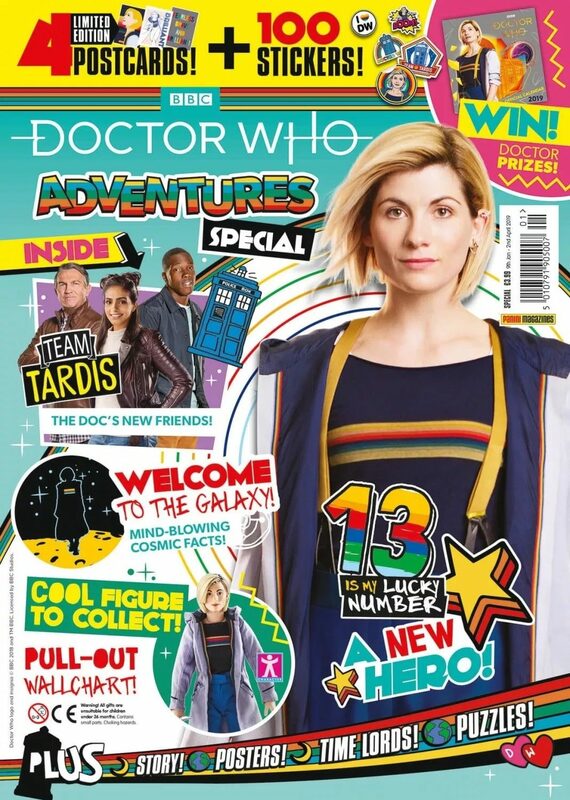 To summarise, this magazine is what you’d buy to introduce your classmates to Doctor Who, rather than for anyone with prior experiences of the show. If you’re reading this review, then that alone suggests this isn’t the mag for you. The Doctor Who Adventures Special is available now, priced £3.99.